Heraclius takes the winter off to plan what to do next. He needs to buy off the Avars as he removes all the remaining troops from the Balkans. 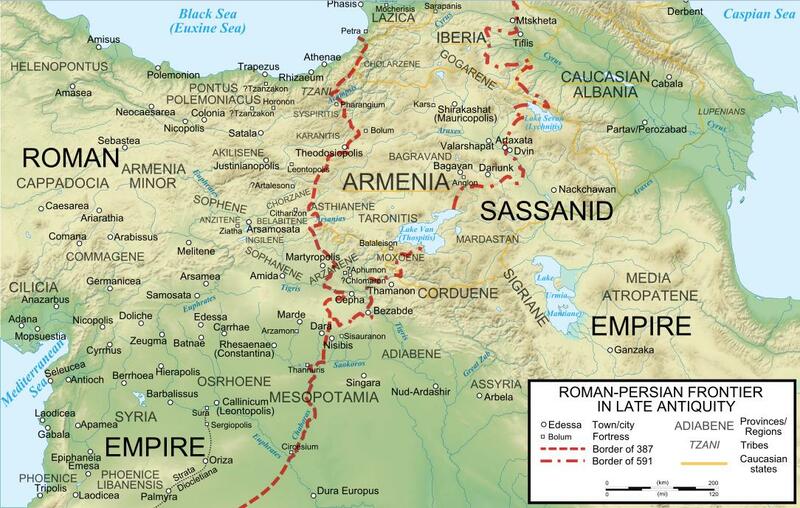 After training the last Roman army left in the Empire, Heraclius prepares to march East and either restore the old borders or never return. Welcome back! 🙂 Really enjoying your new episodes. The pace has picked up slightly, and likewise the slight increase in focus on the general/macrohistorical aspects of the Byzantines is working very nicely – that is, I think you’ve found a great balance now. Keep it up! I’ve really been looking forward to this and It made me really happy to see the new episode on my Stitcher playlist. However I thought you should know that the stitcher episode is only 3.5 minutes long so I assume there has been some problem with the upload. Also the hyperlink in your post says that this is episode 45. It does correctly direct you to episode 46 though. Thank you guys so much. I had no idea! I have changed it. So happy to get this episode! It was splendid. Good grief this is fantastic news, I’m absolutely delighted – iTunes claims 2 hours 19mins for this episode – really?!!!! I’m so going to enjoy this…. Great with that force of episode. Thank you for working so hard on this. Could you check the upload that you did? Stitcher Radio only has the first 3 minutes. Just wanted to let you know how much I enjoy the podcast. The latest was epic both in its lenght and it is scope. I loved it! Thank you all for the kind comment. It looks like Stitcher has struggled with the switch to Libsyn. I am working to fix it. Incidentally, how come the iphone podcast app no longer has any episodes before like 21? I wanted to start over from the beginning (it’s been a while) but using the website with my phone to listen doesn’t work as well. I don’t have an iphone so can’t easily check on this. I assume the switch to Libsyn has caused an issue. Can you resubscribe or anything like that and see if it makes a difference? If not let me know and I will try to fix. FYI, All the episodes are still available for me under the Podcasts app (Feed tab). What a wonderful podcast. As good a piece of historical broadcasting as I have ever heard. Many congratulations. You have a wonderful talent for bringing the history to life. That was definitely worth the wait ! Thx ! This episode was phenomenal. I came to appreciate the limitations of the sources and was still at the edge of my seat. Absolutely the best episode yet. Great episode, fantastic to have you back. Thanks for your great efforts! Thanks a lot! Welcome back! The download speed has improved considerably. Is it my imagination or you have added some special effects like… sound of arrows showered to the Avars from the defenders on the wall ? This or I need to buy new ear plugs. It was indeed meant to be arrow fire. I didn’t want to make it too loud, sounds like I might have gone the other way. Did anyone else catch that? Yeah I heard it loud and clear to be honest. It was a great idea, but the effect was a little repetitive for my taste. Still loved the podcast though. Keep it up Robin! It was like eating all the ice cream in one sitting rather than just a scoop. Immensely satisfying! Great that you are back! And with the best episode so far! OMG what an epic episode!! Amazing! I almost gave up waiting! Robin once again you’ve outdone yourself! LISTENERS, LETS DONATE, just because its free on the internet, doesn’t mean a lot of hard work hasn’t been put into these episodes. BTW without sounding too ungrateful, whens the next episode coming out? Late downloading this episode, just wanted to chime in to say this is some of your finest work to date. You did the material justice! Yeah!!!! Thank you for coming back. Amazing episode! Having gained an interest in all things Byzantium, after reading the John Julius Norwich trilogy many years ago, I think that this podcast is gaining in strength all the time. I have never understood why an historical character such as Heraclius has never generated more interest from historians and/or novelists. As a side note I took my family to Ravenna last year, as part of a family holiday to Italy, and even my teenage daughters were visibly impressed by the Byzantine mosaics on show there. The place is amazing. Thank you for a wonderful podcast! Great episode to relisten to on August 7. Just imagining what the world would be like if the outcome 1388 years ago was different. Robin you are amazing. Thanks for the work putting this together. Finally getting around to listening to this mega-episode. Robin, this is the best one yet! It seems like you’ve decided to try some new things — they’re really working well. Many thanks. Nice comparison between Heraclius and Hannibal in terms strategic use of geography! There Heraclius stood with the last army left in his overrun empire, with his erstwhile allies shuffling and looking down at their collective feet in resigned hesitancy. Heraclius made the deal, said all the right words, and then commenced to shove all of that gold down the gullets of the avaricious and overconfident Persian in a stoke of strategic maneuvering rarely matched in scope and execution. 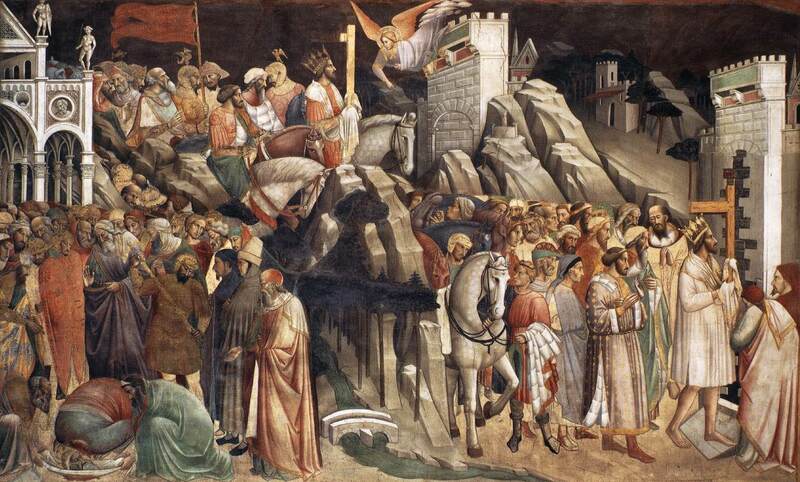 Heraclius definitely had massive stones and proved it when he was figuratively holding his last few chips and the dealer just dealt him a hand lesser men would have folded and then started feeling fore their chariot keys. Not he. Instead, he chose to lead a bold reconquest campaign that struck his enemy in his heartland / breadbasket, not through his already well trampled land. Boldness! Boldness! Boldness! 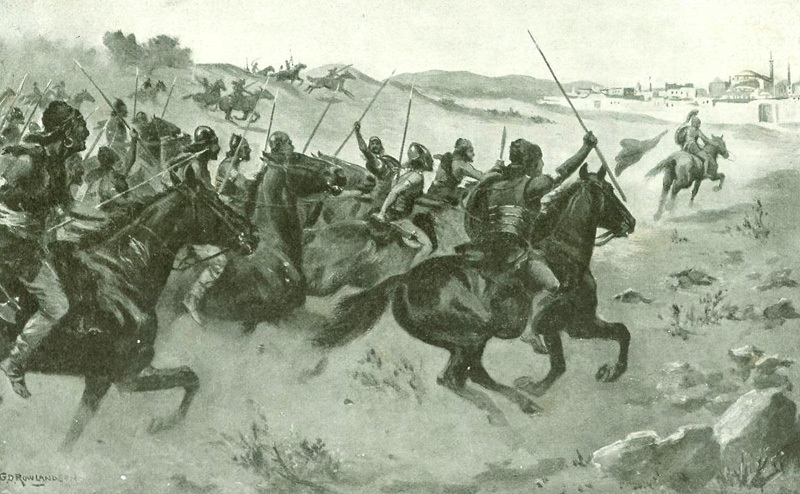 Heraclius is the greatest strategist of his era and, for good measure, throw in 200 years before and 600 years after his era until the Mongols gallop out of wastes and make W. Asia and all of Europe collectively soil themselves in abject fear of those demonic bastards galloping over them on their short legged flat headed steppe jumbo-Shetland ponies. How many people who consider themselves in the know when it comes to human history have any idea who Heraclius was or what he did? While I am running with this idea, how about Belisarius, Theodoric or any of the sixth and seventh century movers and shakers? Ask that same person to tell you about the above mentioned time period and wait for him / her to even mention the Byzantine Empire. I bet dollars to donuts that you may want to bring a chair because you will most likely be there for a while. Or, now that I think of it, you may be there for a relatively short period due to lack of anything to say on the responder’s part. The above typed abbreviated screed is my roundabout way of saying that this podcast is a gift that just keeps giving. My personal library has 2.5 score books about the Byzantine Empire, with emphasis on its military structure and strategy. With this podcast, I get to listen to someone tell me about Byzantium. 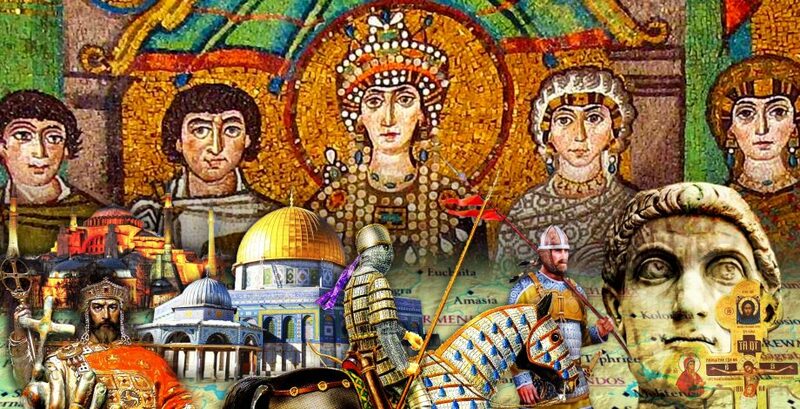 That difference may not sound all that amazing or deep, but it is a really nice switch to be able to sit back, relax and listen to a very insightful and enthusiastic person tell me about the history of the Byzantine Empire. This Cal Poly ’92 History grad would like to say Kudos to The History of Byzantium Podcast. I am a better person since I found this site, and as soon as I finally finish this comment I am going to grab my checkbook and donate a not insubstantial sum to this resource. P.S. Nice sound effects with the Avar siege flitting arrows segment! I am in need of some maps and have tried to check out Leatherman Data Services but I haven’t been able to find out. Help! The website does seem to be down I’m afraid. I know I am two years late, but I just finished the episode and wanted to say this: this is by far the best history podcast episode I’ve heard. Period. I could visualize the drama between Shahvad, Khosrau II, Heraclius and playing out cinematically in my mind as I am listening. What I can’t seem to understand, is where was Khosrau II eastern armies? Couldn’t he have pulled troops from Transoaxana, Sindh or Baluchistan to shore up Ctesiphon’s defenses? Also, of note, I’m Muslim and growing up, I became acquainted with a passage in the Quran called “The Romans”, it centers around Heraclius victories against the Persians. I never understood the significance of the verse until I listened to these podcast. Again, keep these amazing podcast coming, Robin! I think the answer lies in the speed of events. 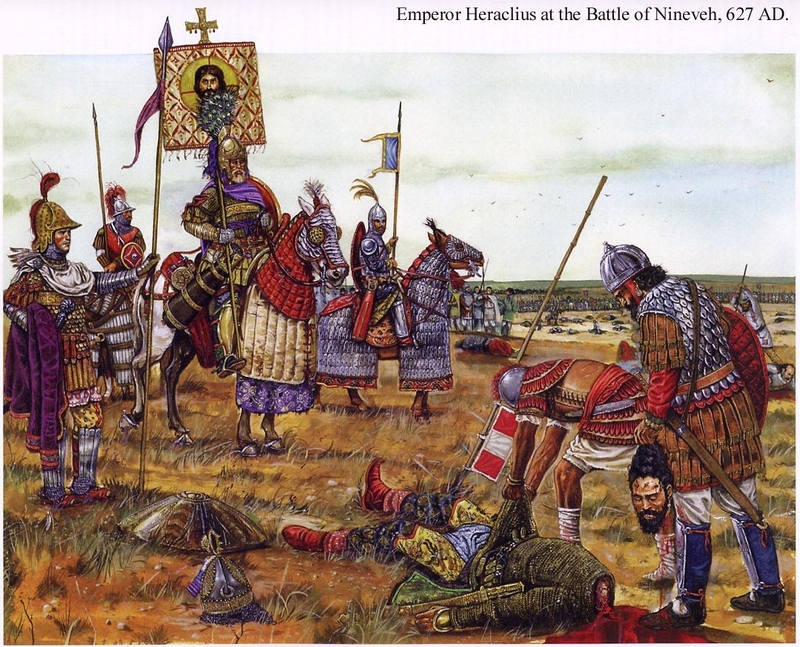 Heraclius was able to defeat 3 of his armies and then unexpectedly marched on into the winter. 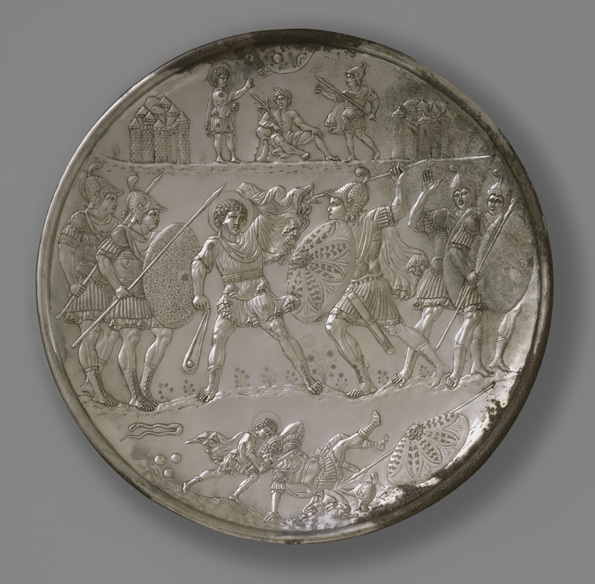 The expectation was that he would retire for the winter months and allow the Persians to call up other units. 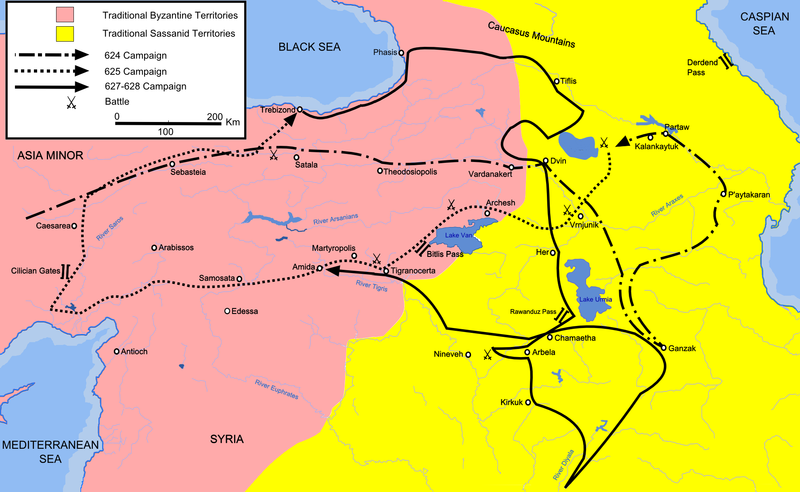 We should also remember that those eastern armies were keeping dangerous Steppe tribes (and others) at bay. To remove them all in one go would have been like the various problems the Romans faced during the crisis of the 3rd century. Ah, I see. That makes quite a bit of sense. Thank you so much again for taking time to answer my question. I look forward to listening to more of your podcasts! PS: I love the sound effects! 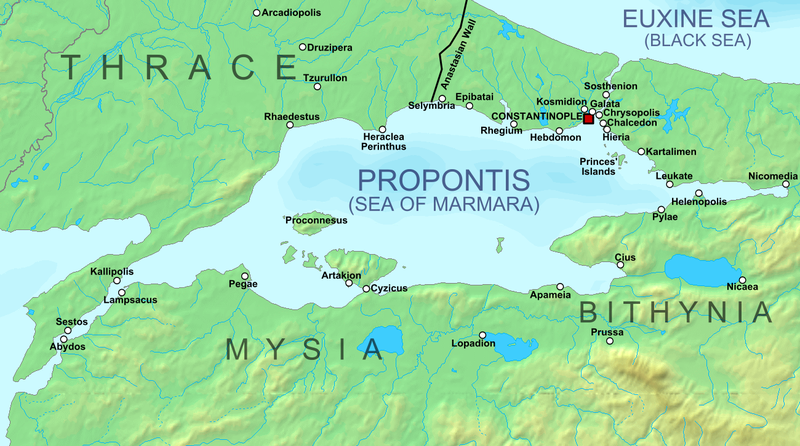 I’m a bit late to the party on this, but i’m wondering where you found George of Pisidias epic poem. Was it online(ebook) or a physical copy from a bookstore? I would much enjoy reading it myself. I too am a relative newcomer. I love every episode, but this episode was extraordinarily wonderful. I think you made the right call lengthening the episode – so that you could cover the whole arc of Heraclius’ Persian campaign(s).